Marketing a property for sale has never been easier. Whether you decide to sell yours with an estate agent or go DIY, getting your property to be seen by potential buyers is almost effortless – we say ‘almost’ because there is some work involved. 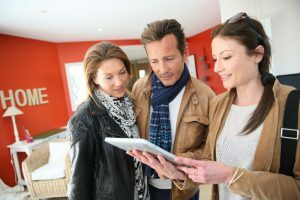 In this article, we run through what potential buyers will be looking for and how you can ensure your property ticks all the boxes. Whilst a For Sale sign will attract the attention of passers-by, online property details will reach a much larger and targeted audience. Ensuring those details are comprehensive and the photographs show your property at its best will be crucial to getting plenty of viewings. 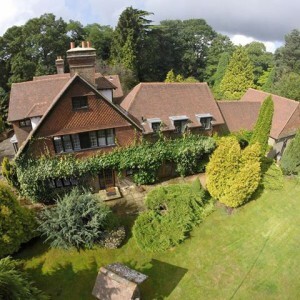 The best listings show a front and rear view of a property, all the main rooms and garden/external space. It gives potential buyers an opportunity to get a good idea of a property without stepping foot inside, so the rules for keeping your home tidy for viewings applies even at this stage. That means de-cluttering rooms and making them look clean, tidy and well presented. It might even mean you have to paint that bright red feature wall a more neutral colour so that other people can imagine living in your space. And if the photographs are taken on a miserable and rainy day, it might be better to delay listing your property until it can be photographed on a brighter day. Check what your estate agent writes about your property. If they’ve missed out the original Victorian fireplace in the second bedroom, didn’t describe the bathroom as a well-designed wet room or failed to mention that you have planning consent for an extension or parking for three cars, make sure they amend the description. The more information potential buyers have, the more likely are they to be genuinely interested in viewing your property. Viewing numbers are crucial so being online is a requirement in today’s market. Floorplans are incredibly useful. They put together the jigsaw puzzle that is a photography slideshow and give greater insight into the overall space and how it works. No one expects a home that is lived in to look perfect, but it’s well worth making sure that your home looks good whenever there is a viewing. A pile of dirty plates waiting to be washed in the kitchen, toys strewn across the floor, a lawn that hasn’t been mown for months – they are all distractions and some people will struggle to look beyond mess and clutter. Research has shown that potential buyers will always look out of windows to check the view. So if there’s one thing you should do it’s get the windows cleaned! A curtain track that has come away from the wall or a broken door handle may be minor issues, but they will be noticed. A potential buyer’s perception of how well the property has been cared for will also influence their decision-making process. After all, if it looks like there will be a long list of minor repairs to be carried out it may raise questions of whether a survey might uncover more major issues. Storage space is always a great asset in any home and people will want to check how big that under-stairs cupboard is or how cleverly you’ve utilised an awkward space. Decluttering shouldn’t be reserved for the spaces you see, it also applies to storage areas. In short, avoid using your storage space for emergency storage! Good luck with the viewings! And don’t forget to get in touch with home-approved for a building survey < https://www.home-approved.com/building-surveyors/> when you’ve found the property you want to buy.